Home » Community » The Kitchen Sink » Images. We need this! Hey! Post some pictures of yourself. I don't see you enough. Here's me. This is from a few years ago. OH, yay! Alg, I've seen that on fb, so cute! Shea, that is such a gorgeous photo. I love it. Eeeeeeeeee. Oh my i love this! hehe. Shea, that pic is so gorgeous! 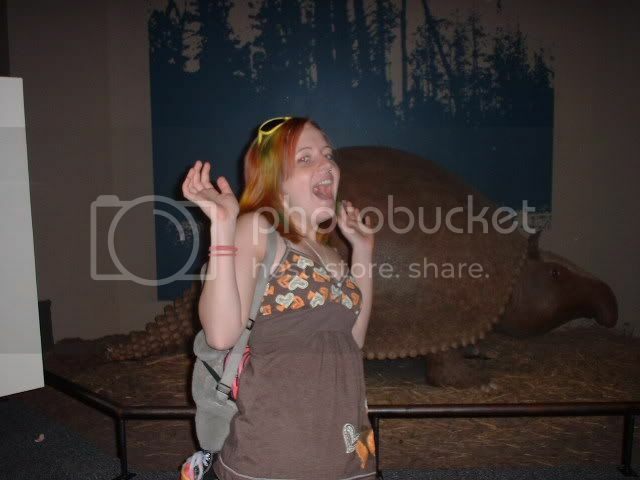 Sarah, I can imagine people walking around in the museum being all "WTF" at you holding that pose forever. Courth, yeah it was the ONE TIME that there were people all over the place, haha. ha. you guys are so cute. lemme upload some to flickr or something then i will post. 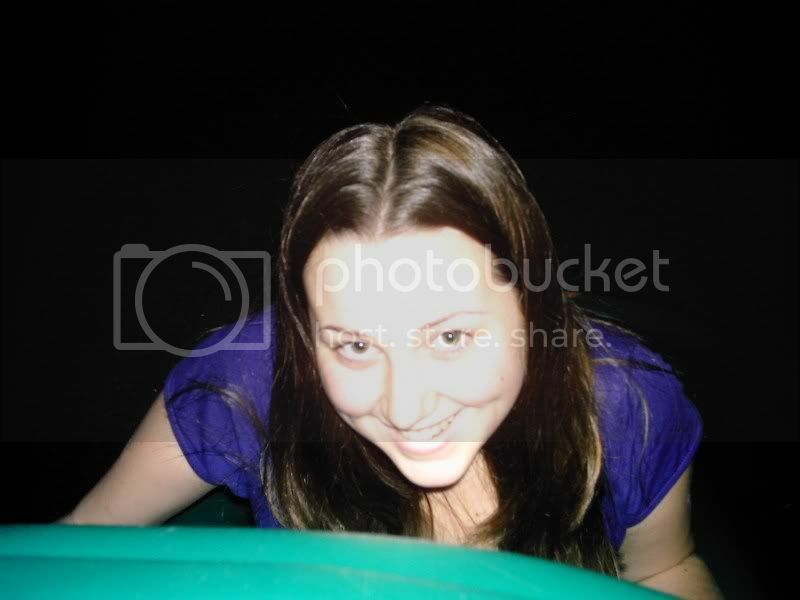 Okay, so it was night time and my BFF convinced me to climb up a slide on a playground. This is something I'd never done, even as a child. She snapped this pic when I reached the top. Note to self: become more photogenic. Eich. 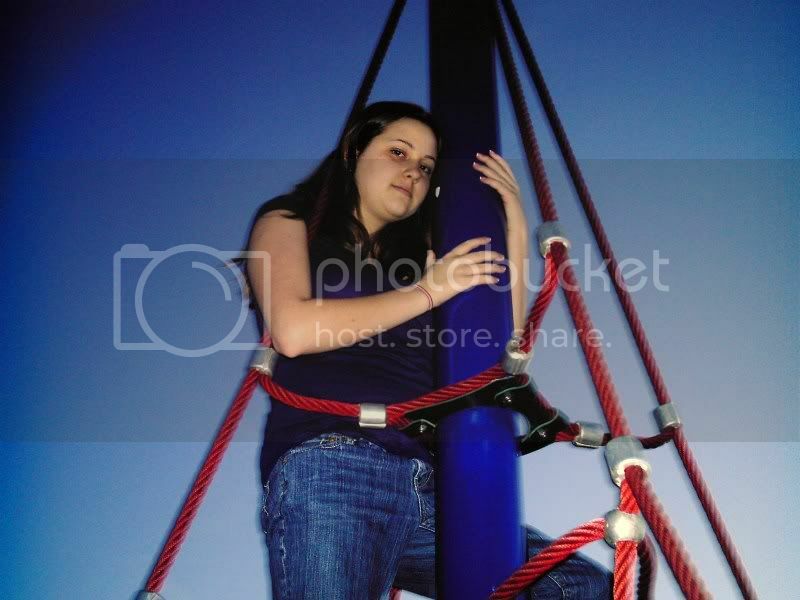 Courth: I'm so pleased to see I'm not the only one who still plays on kids playgrounds. Seriously. 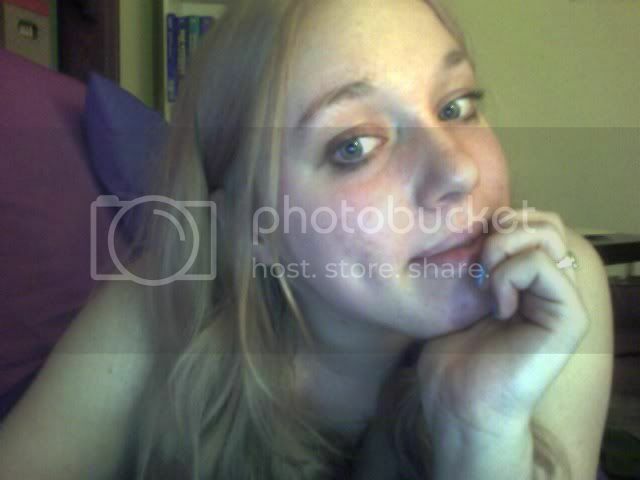 I took that last one trying to get pictures of my hair. I now realize that I need to get someone else to do that, but I keep forgetting. I never smile when I'm taking my own picture. Strange. 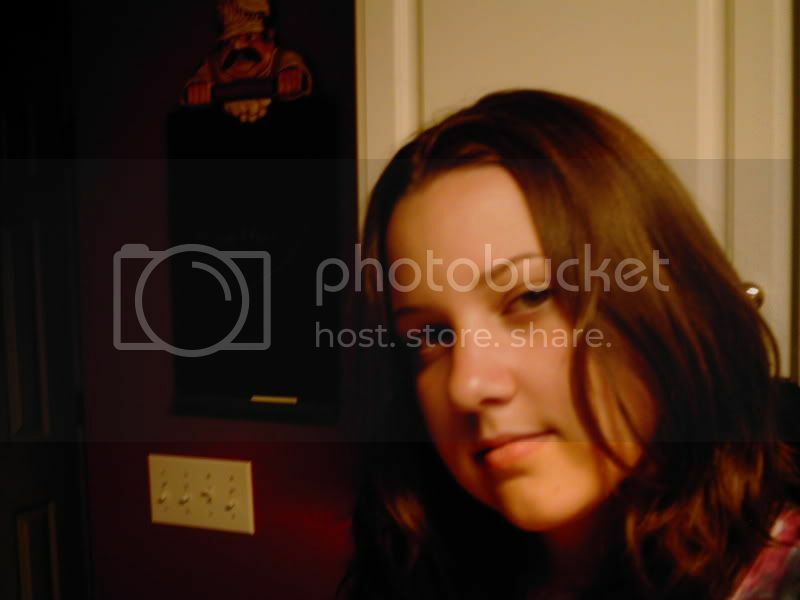 here is a little bit of an older picture (shorter hair!) of me cookin'. you can see how teensy the kitchen is and stuff. it's all fuzzy, but whatever. and i was going to do another that shows how beautiful i look when i laugh (other than the shining example you have in my avatar 8-))... by that i mean how great my double chin looks when i laugh... but you'll have to hold your horses bc my interwebs are too slow right now. Omg, hesp! That kitchen is soooo tiny. I complain about mine being so small (which it is), but wowza. And I know you cook all the time, wow. 10 months ago at my daughter Lilah's baptism party. Say "tired" !!! Couth you look gorgeous, I swear you have such good features. oww you are a baaaaaaaabe. gfvm i love your glasses and dress! amara you are so cute. i want sarah as my sister. AC you look lovely as always. shea you are friggin beautiful, its nice to see you around! I don't really have anything special. Here is me right now. My nails are blue! This is a good thread. 5 stars. Would read again. I know! I'm saying, "good. I can sleep tonight." ...b/c it's truly approved. Duh. Images!! I hope this thread gets really big, and it gets so big, that it's really slow to load, because that means it's good. I went shopping at TJ's and got this awesome cat! this is me saying "hello beautiful people!" Bunch of hotties in this thread.